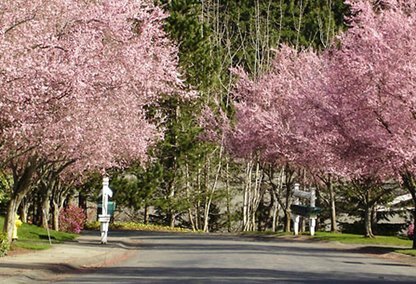 Looking for information on local Providence Point homes for sale in Sammamish? The Cascade Team has agents who live and work is this great community. In addition, we've summarized and provided access to much of what is important about Providence Point, along with effective Sammamish home search tools that will allow to explore all the Providence Point active MLS listings. All homes currently available are displayed and broken down by price point, but if you have specific criteria you wish to search on, be sure to use our advanced home search tool here. If you are on a mobile device, be sure to check out our GPS enabled home search feature to see all active listed homes within your immediate vicinity. Beautiful ground floor unit in Providence Point. A premier gated community designed for active seniors aged 55+. This move-in ready home opens onto two private patios. Spacious master suite with 2 closets. Storage room & 1 car garage. Second private entry off patio. Incredible community amenities include 24-hour security, clubhouse, P-Patch, library, shuttle, trails, library, classes, & more. Dues include water/sewer/cable TV.